The Bridgewater Home Watch Difference: Why Choose Us? Bridgewater Home Watch is proud to offer its customers comprehensive home inspections and reliable home watch services that include detailed reports and checklists complete with pictures, giving our clients an accurate assessment of the property’s condition. Alan J. Goncalves is a certified and licensed home inspector for the state of South Carolina and has a wide range of experience in the residential construction industry for over three decades. Bridgewater Home Watch provides services to discerning homeowners, homebuyers, realtors and investment professionals. Please let us put our knowledge and experience to work for you and your family. Alan is the owner and manager of Bridgewater Home Watch. When you have Bridgewater Home Watch inspect your home purchase or watch your residence, Alan, will be performing your inspection(s). Alan’s reports are written with details and have clear quality pictures (not distorted cellphone images). You will receive a high quality inspection with the most dependable customer service available in the home inspection and home watch industry. At Bridgewater Home Watch, we strongly encourage our clients to be present during the home inspections whenever possible. We want to answer your questions and give you the peace of mind you deserve when buying your investment. Bridgewater Home Watch is licensed and fully insured. Alan writes every customized and detailed home inspection and home watch report, and delivers the reports electronically within 24 hours. Alan performs on-roof inspections whenever the conditions allow. He does not believe a drone is a substitute for on-roof inspections. Drones CANNOT discover certain roof or home defects that are not readily visible but may be present. He will always perform an up close, hands-on physical inspection of a roof whenever possible. Bridgewater Home Watch is a dependable, courteous, and professional locally owned business. Alan and Pauline value experience, high quality customer service, professionalism, honesty, and punctuality. Bridgewater Home Watch can give you the peace of mind knowing that a trusted local company is looking out for you and your family, and help assure that your investment is a safe one. 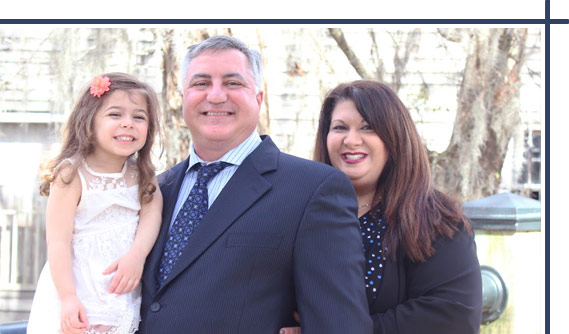 Alan has over 30 years’ experience as a business owner and manager in the residential construction industry in one of our country’s most exclusive areas of Westchester County, New York, and Lower Fairfield County, Connecticut. 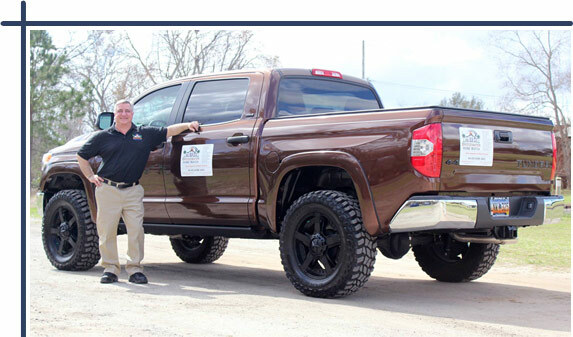 Alan is a highly skilled carpenter with hands on experience in commercial and residential framing, drywall, roofing, siding, high end interior and exterior trim, custom cabinet and millwork, home building and general contracting. His unmatched experience in the residential construction industry along with continuous home inspection training gives Bridgewater Home Watch the ability to provide you and your family with the most professional residential inspections and high-quality home watch services available. When it comes to something as important as your primary residence or your vacation home you need a company you can trust who will have the knowledge and experience to not only give an accurate assessment of the present condition of your property, but also discover problems and defects that may lead to costly repairs in the future. Alan has been walking roofs for over 30 years. 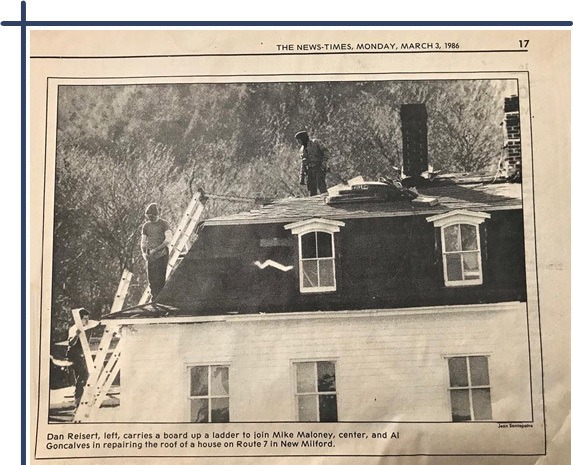 This picture is from our hometown newspaper, The News-Times, from March 1986. Alan is still walking roofs for Bridgewater Home Watch, while performing home inspections. The story behind our Bridgewater Home Watch logo. 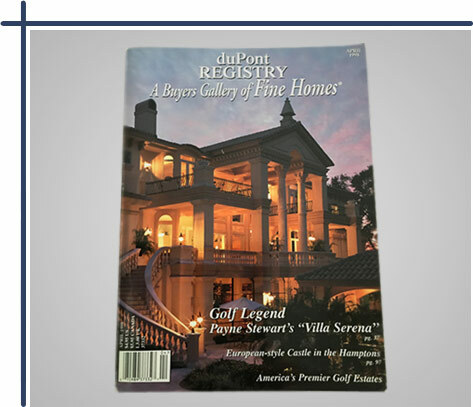 The house in the picture was featured in the du Pont Registry (1998). 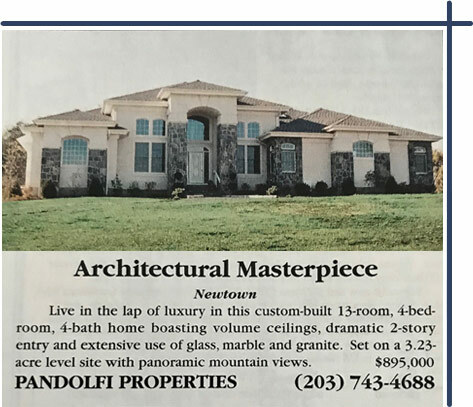 Alan built this beautiful and unique house for his in-laws in Newtown, Connecticut. His father-in-law who loved and had second homes in Marco Island, Florida wanted to have a Floridian home in Connecticut. Granite and marble was adorned throughout the house including the flooring. This is the same house that is featured on our logo. Pauline is the office manager for Bridgewater Home Watch, and is a licensed South Carolina Property Manager in Charge. 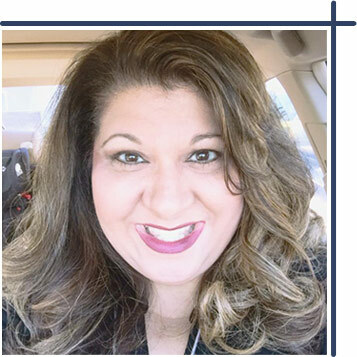 Since moving to Myrtle Beach with her family, Pauline has studied extensively to be a property manager in charge, passing the South Carolina state exam. Pauline has experience owning and managing primary residences and vacation properties in Connecticut and South Carolina. She has a Bachelor’s Degree of Science in Education and a Master’s Degree of Science in Special Education and had worked previously as a certified elementary school teacher in Connecticut and South Carolina, and has also owned and directed a tutoring company in Newtown, Connecticut. Pauline has many years of experience working with families in teaching and as a business owner. She understands the importance of exceptional customer service. Pauline always puts her clients’ interests first and will be happy to answer any of your home inspection and home watch questions.